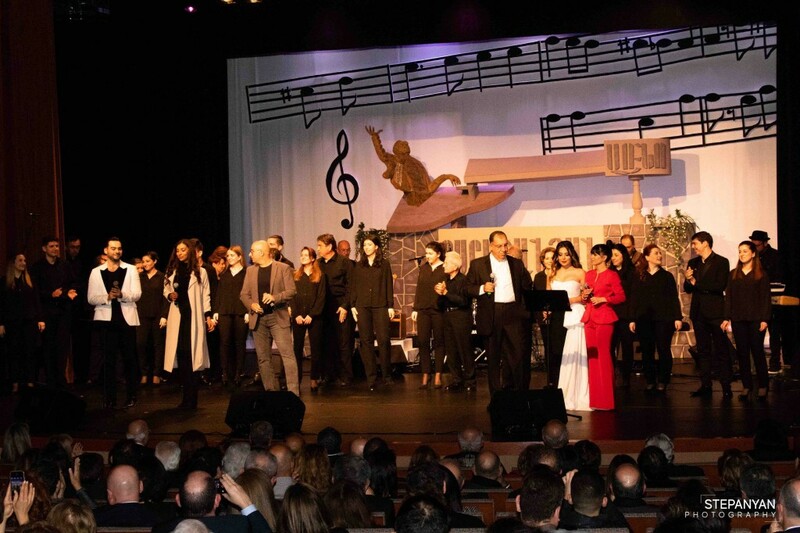 On Saturday, February 2, 2019, the AGBU Western District hosted its debut concert, “A Classical Evening in Honor of Arno Babajanyan” at the brand new AGBU Vatche & Tamar Manoukian Performing Arts Center (PAC). The sold-out concert event was planned around the 35th anniversary of the composer’s passing and what would have been his 98th birthday. With the help of his son, Ara Babajanyan, the Western District was able to put on a spectacular concert with an all-star performer roster. Talented artists took the stage to pay homage to the world-renowned composer by performing many of his classical and popular pieces. 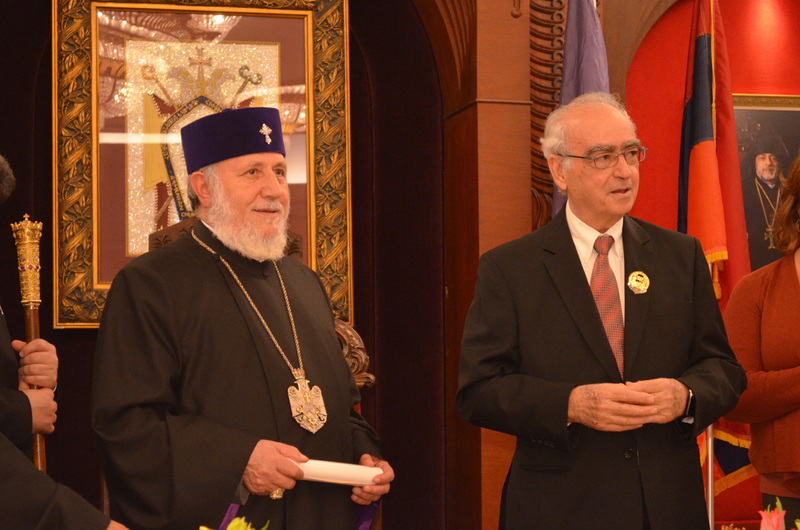 Among the 600 concert attendees were, His Eminence Archbishop Hovnan Derderian, His Excellency Consul General of the Republic of Armenia, Armen Baibourtian, the Honorable State Senator, Anthony Portantino, the Honorable Assemblymember, Adrin Nazarian, and the Honorable Mayor of the City of Pasadena, Terry Tornek. The evening commenced with a special cocktail hour hosted in the PAC Foyer where guests enjoyed wine along with grazing platters sponsored by Robert’s Catering Services. Once the auditorium doors were open, energetic and excited guests flooded in to take their seats in anticipation of the start of the concert. The room was alive when Master of Ceremonies, Gayane Avetisyan, took the stage to welcome the audience. Avetisyan shared a brief biography about Arno Babajanyan’s life and introduced AGBU Western District Chair, Talin Yacoubian who joined her on stage. Yacoubian welcomed the guests to the new PAC and announced upcoming concert events, including “Pour Toi Aznavour” which will be a tribute concert for Charles Aznavour on October 5, 2019. Before the first performance of the night, a short video showed the life of Arno Babajanyan, from being discovered by the great composer Aram Khachaturyan at the young age of 5 to becoming a prominent, well-respected, and influential composer of his time. Part I of the concert highlighted Babajanyan’s classical compositions including the famous Elegy, Nocturne, Piano Trio, among other songs. Artists including Armen Guzelimian, Armen Ksajikian, Sona Nalbandyan, Armen Derkevorkian, and Allen Dishigrikyan, took the stage. Concluding Part I of the program was the newly established AGBU Los Angeles Choir, conducted by Maestro Gayane Baghdasaryan, leaving the audience in true awe with a very impressive debut performance. 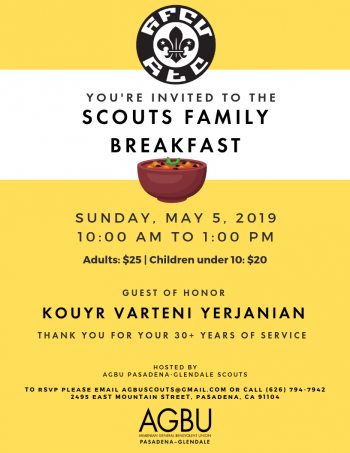 “It is through events like this, that we are able to expose our younger generations to notable individuals in Armenian history and their impact on our culture. Without these events, we risk losing pieces of our heritage, especially in the diaspora,” expressed the concert’s Artistic Director, Mikayel Avetisyan. Part II of the program encompassed many of the popular songs by Babajanyan including, Yerevani Sirun Axchik, Kamurjner, Arachin Siro Yerk, and others performed by Razmik Mansourian, Emmy, Narek Makaryan, Sargis Manukyan, and Ani Christy. The concert closed with all of the performers on stage performing the famous Mer Sireli Yerevan song.